All staff photos published in the Record-Eagle print edition during the week of Feb. 7-13, 2010. Note: Some photos may not be available until late afternoon on the day published. Photos published on Saturday and Sunday may not be available until Monday. Doug Prause and his wife display his vintage snowmobiles in front of Giovanni’s Roadhouse in Interlochen. 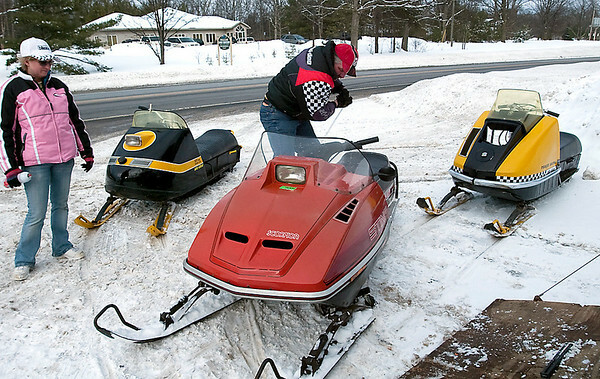 Prause will display his snowmobiles at the Ninth annual Antique Snowmobile Show in Karlin Saturday.